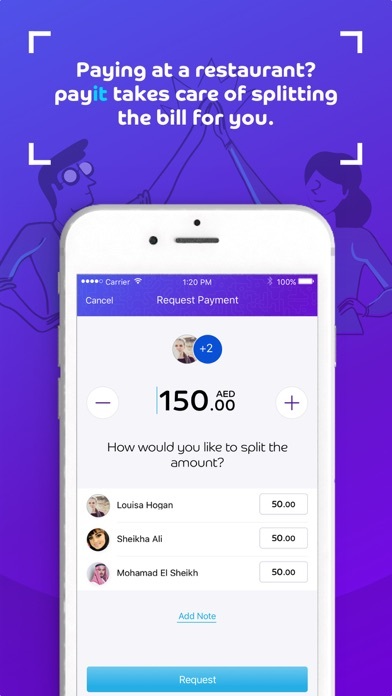 The first wallet to launch sound-based payment in UAE. You can now pay a variety of merchants using a sound-based technology. Listen and pay! We also got bug fixes to enhance the experience of cashless payment. 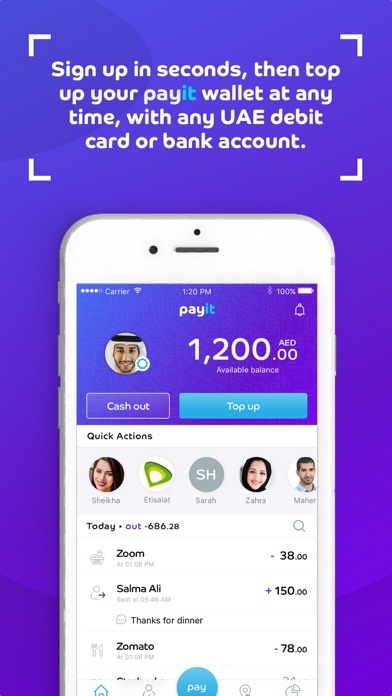 payit is the UAE’s first fully-featured digital wallet. 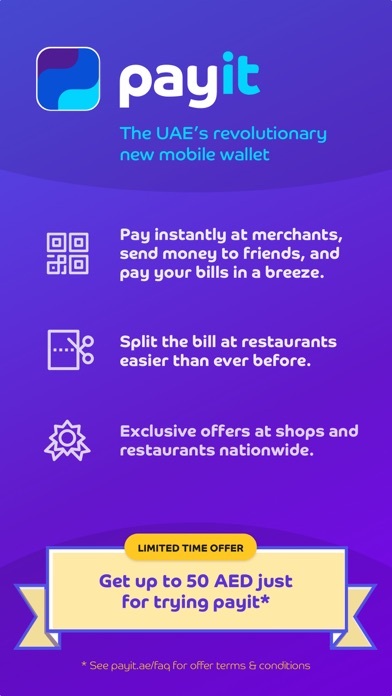 Send and receive money to anyone instantly 24/7, pay at restaurants and shops, split bills with friends when you eat out and track your spending on the go. Whether you’re going out with friends or ordering food online, payit is the easiest way to pay. payit is open to all – it doesn’t matter who you bank with, all you need to start using payit is an Emirates ID. 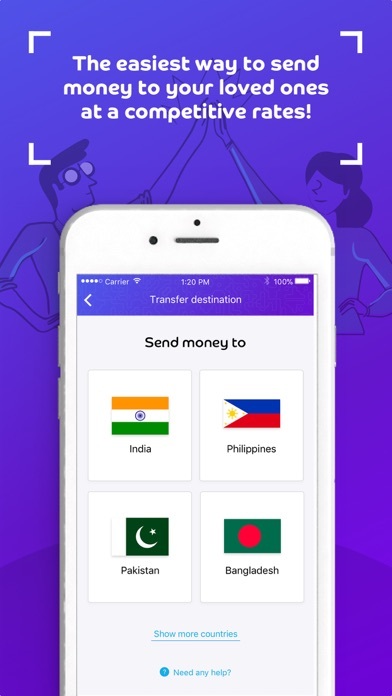 What about sending money overseas? With payit, you can. 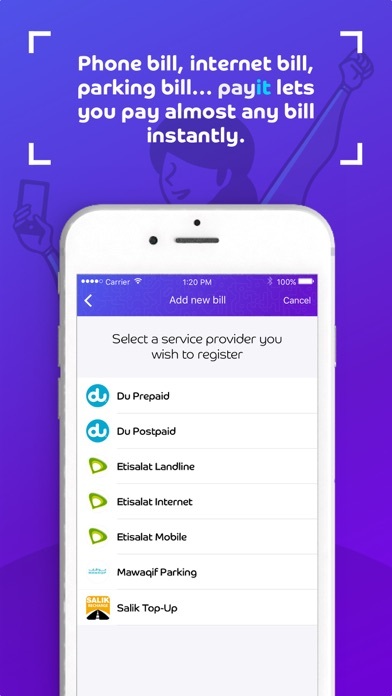 Download the app and start using payit today! Look for the “payit accepted here” signs at your favourite restaurant, café, or shop. 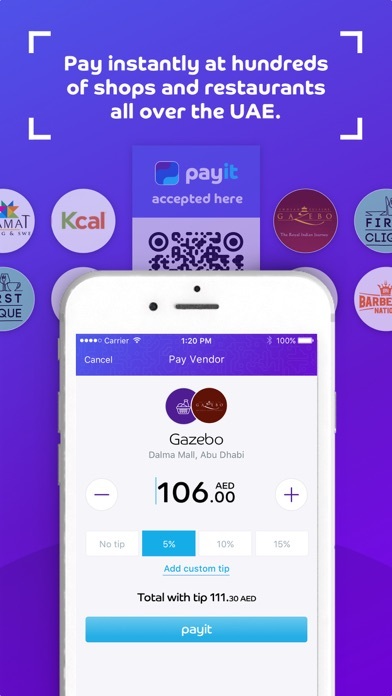 If your favorite hangout doesn’t accept payit yet, visit https://www.payit.ae to suggest it, and we’ll get right on it. - Sending and receiving money from anyone made even easier, with payit tags. - Money pool. 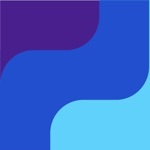 Create an event and easily collect money from everyone attending.